The Goa Human Rights Commission has thrown light on the fact that patients who cannot be accommodated with providing beds in the top run govt medical facility, should not be sleeping in corridors of the hospital. Instead, as suggested by the Commission, they should be provided space in the VIP treatment rooms, which at most times is lying vacant in the hospital. 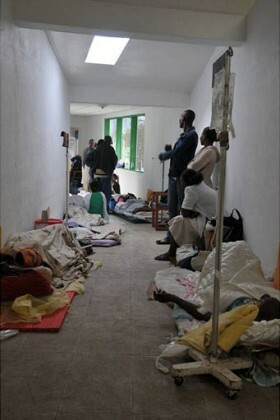 In lieu of the above fact, the Human Rights Commission on Saturday issued notices to the health secretary and the dean of the state’s top government run medical facility over the issue of patients sleeping in the hospital’s corridors last month. Prior to this exact legal development, the issue was appropriately highlighted by the Commission in the media and subsequently a petition was filed by three individuals, including a human rights’ activist and an Aam Aadmi Party leader, with the commission, as confirmed by IANS. “The criteria of allotting beds in GMC should be who urgently needs the treatment, and not who is an influential person. VIP should mean Very Important Patient and not Very Important Person or Very Important Politician,” the petition filed by advocate Satish Sonak and AAP secretary Valmiki Naik had said. Both the state health secretary and the dean of the Goa Medical College, located near Panaji, have been asked to file their replies to the Commission’s notice by September 24.